Give yourself some peace of mind by securing your bike with the Abus Star 4508C Combo Cable Lock. 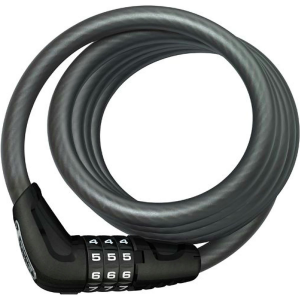 This flexible steel cable lock is fortified with a protective synthetic coating to prevent scratches and dings to your bike's paint job, while the individually settable code keeps would-be thieves at bay. The dark-touch-function of the digits facilitates use in the dark thanks to special imprinting, and the two-component molded digits guarantee life-long visibility.